Salaried or Hourly: Salaried, 12 Month Contract. Work Schedule: Classes scheduled Monday-Thursday 8AM-6PM; Evening rehearsals and weekend hours determined by production schedule. Christian who is an active member in local church. MFA in Directing or Performance required. Professional and Educational Experience in Theatre. Administrative, Organizational and Leadership Skills. Demonstrates the Imago Dei of Christ (Gen 1:26) in all aspects of one’s professional role, personal interactions and community relations. This position will oversee the faculty and adjunct faculty in the Department of Theatre as well as Department of Theatre new hires alongside the Dean of Alabama School of the Arts. Manage the Theatre and Musical Theatre program which consists of the following three degrees: Bachelor of Music in Musical Theatre, Bachelor of Arts in Theatre- Performance Track, Bachelor of Arts in Theatre- Directing Track. Co-manage a nine production season consisting of a main stage opera, a main stage musical theatre production, a small play, a chamber opera, two jazz band concerts, one joint departmental Christmas production, and a joint department Easter production. Teach a minimum of 12 credit hours in the fall and spring semesters. Faculty Load would include courses such as: Acting I, Acting II, Acting III, Directing I, Directing II, Stagecraft & Lab, History of Musical Theatre, Theatre History, Period Styles of Performance, Production Procedures, and more. A list of required application materials can be found at https://umobile.edu/about/employment and should be sent to: Dr. Alan Miller, University of Mobile, 5735 College Parkway, Mobile, AL 36613-2842. Electronic submissions are preferred and may be sent to amiller@umobile.edu. The University of Mobile invites applications for a fulltime/tenure track position of Assistant/Associate Professor of Chemistry. The Department of Natural Sciences is located within the University of Mobile’s College of Arts and Sciences. The successful candidate will be energetic, dynamic, and possess strong interpersonal skills. Experience in the areas of General Chemistry I and II, Organic Chemistry I and II and Biochemistry is desirable. The faculty member will teach pertinent courses in the department, prepare course materials and assignments, advise students, engage in curriculum review and development, coordinate internships and assist with online delivery. An earned doctorate in Chemistry and higher education experience are preferred. This position begins August 2019. The University of Mobile is a Christ-centered academic community providing liberal arts and professional programs to renew minds through intellectual and spiritual development for the fulfilling of one’s professional calling. The University is affiliated with the Alabama Baptist State Convention and is committed to excellence in academics through offerings at the undergraduate, graduate, and continuing education levels. The University of Mobile is accredited by the Southern Association of Colleges and Schools Commission on Colleges to award associate, baccalaureate, and master’s degrees. The University of Mobile invites applications for a full-time position of Assistant/Associate Professor of Nursing. Reporting to the Dean of the School of Nursing the successful candidate will be energetic, dynamic, and possess strong interpersonal and educational skills. Experience in the areas of medical surgical nursing and nursing education are desired. The faculty member will teach pertinent courses in the department, prepare course materials and assignments, advise students, engage in curriculum review and development, coordinate practicums and assist with some online delivery. An earned doctorate and higher education experience is preferred. The School of Nursing, which resides within the University of Mobile’s College of Health Professions, is accredited by CCNE (Commission on Collegiate Nursing Education). Electronic submissions are preferred and may be sent to rcroom@umobile.edu. Teach auditions skills; teach how to learn and perform a dance at audition speed. Jazz Instructor for 1.5 hour class that meets weekly. The class is for musical theatre majors, but is open to students from other majors. This means that at the skill level of the students can vary. We offer Beginning Jazz in the fall semester and Intermediate Jazz in the spring semester. Tap Instructor for 1.5 hour class that meets weekly. The class is for musical theatre majors, but is open to students from other majors. This means that at the skill level of the students can vary. We offer Beginning Tap in the fall semester and Intermediate Tap in the spring semester. Adjunct Instructors teaching in the above fields report to the Dean of the University of Mobile’s School of Education. The successful candidate will be energetic, dynamic, and possess strong interpersonal skills. Experience in higher education teaching as well as online course development and facilitation is desired. Electronic submissions are preferred and may be sent to ccorliss@umobile.edu. Adjunct Instructors teaching in the above fields report to the Dean of the University of Mobile’s College of Arts and Sciences. The successful candidate will be energetic, dynamic, and possess strong interpersonal skills. Experience in higher education teaching as well as online course development and facilitation is desired. Electronic submissions are preferred and may be sent to lburnett@umobile.edu. Adjunct Instructors teaching in the above fields report to the Chair of the University of Mobile’s Department of Kinesiology. The successful candidate will be energetic, dynamic, and possess strong interpersonal skills as well as have at least a Master’s degree in the field of Kinesiology. Experience in higher education teaching, online course development and facilitation is desired. Electronic submissions are preferred and should be sent to ldelong@umobile.edu. Adjunct Instructors teaching in the above fields report to the Dean of the University of Mobile’s School of Business. The successful candidate will be energetic, dynamic, and possess strong interpersonal skills. Experience in higher education teaching as well as online course development and facilitation is desired. Electronic submissions are preferred and may be sent to tgreer@umobile.edu. The Alabama School of the Arts at University of Mobile invites applications for an adjunct instructor of musicology. The candidate would be expected to teach one online graduate musicology course per semester, beginning in the spring of 2018. The successful candidate will be energetic, dynamic, and possess strong interpersonal skills. A PhD in musicology is required, and experience in higher education teaching, including online course development and facilitation is desired. The University of Mobile is a Christ-centered academic community providing liberal arts and professional programs to renew minds through intellectual and spiritual development for the fulfilling of one’s professional calling. The Alabama School of the Arts is accredited by NASM, and currently offers a wide range of undergraduate programs, as well as the MM in Performance- voice or piano. Adjunct Instructors teaching in the above fields report to the Dean of the University of Mobile’s Alabama School of the Arts. The successful candidate will be energetic, dynamic, and possess strong interpersonal skills. Professional performance experience and teaching in higher education is desired. Course development for Woodwind Pedagogy is required. Electronic submissions are preferred and may be sent to khughes@umobile.edu. Adjunct Instructors teaching in the above fields report to the Associate Dean of the University of Mobile`s School of Christian Studies. The successful candidate will be energetic, dynamic, and possess strong interpersonal skills. He or she will be an active member of a Southern Baptist church, and will affirm the Baptist Faith &amp; Message (2000) and the Chicago Statement on Biblical Inerrancy (1978). Experience in higher education teaching as well as online course development and facilitation is desired, especially Canvas. A Master`s degree from a regionally accredited institution of higher learning is the minimal requirement, with at least 18 graduate hours in the academic area for which the candidate is applying. Electronic submissions are preferred and may be sent to kbeshears@umobile.edu. Job Description: Under the supervision of the Director of Athletics, the Men’s Head Basketball Coach performs duties that enhance and develop the Men’s basketball program. This includes but is not limited to management of the Men’s Basketball program, organizing practice sessions and off-season conditioning programs, scheduling games for the season, budgeting, fundraising, and recruiting. College/University coaching experience of 3-5 years at the NAIA, NCAA D II, or NCAA D III level. This job description does not state nor imply that these are the only duties to be performed by the employee occupying this position. Duties and responsibilities listed are essential job functions and exclude functions which are incidental to the performance of fundamental job duties. Assist the university in implementing UM’s long-range institutional and financial plans. Recruit student-athletes to the university. In conjunction with the AD, prepare and maintain a budget for the men’s basketball program. Fundraise for the benefit of the basketball program. Manage student-athletes and coaches at both practices and games. Organize both a practice and competition schedule. Maintain a level of fitness for all student-athletes so ensure full fitness for competitive events. Teach skills and disciplines to athletes in position. Lead by Christ-like example to further develop the character and integrity of student-athletes. Assist in the development of student-athletes as both players and citizens. Any other duties consistent with the role of head coach. A list of required application materials can be found at http://umobile.edu/employment/. Candidates should send a completed UM staff application, cover letter, and resume to Mr. Joseph Wiegand, University of Mobile, 5735 College Parkway, Mobile, AL 36613-2842. Electronic submissions are preferred and may be sent to jwiegand@umobile.edu. The Center for Excellence in Healthcare Practice at the University of Mobile invites applications for a full-time Simulation Specialist reporting to the Dean of the College of Health Professions. Associate’s degree in technology or a health-related field is required. Bachelor’s degree in Computer Science, Technology, or health-related field preferred. RN, EMT, Paramedic, or Certified Respiratory Therapist preferred. Previous experience in simulation lab preferred. Must be able to independently lift and maneuver equipment (less than 25 lbs.) and manikins (less than 50 lbs.) with the assistance of others. Christian who is an active member in a local church. Understand the use and operation of different simulator technology. Serve as simulator operator running pre-programmed scenarios with faculty instructors, assuring all equipment is set up and meets learning objectives. Participate in role playing, prop usage and moulage set-up. Provide technical assistance, support and training to faculty and staff in use of simulation equipment as needed. Provide ongoing support with maintaining inventory of supplies and equipment and conduct routine inventory updates. Assist with recommendations for budgeting and purchase of equipment, supplies, and materials. Conduct ongoing maintenance of all simulation equipment, including cleaning, repairing, assuring that all equipment is maintained in good working order at all times. Maintain record of repairs required and completed. Interact with equipment manufacturers regarding equipment troubleshooting and updates. Maintain current knowledge of simulation equipment catalogs and operation manuals. Participate in technical training as necessary. Participate in offsite training and demonstrations as required. A list of required application materials can be found at http://umobile.edu/employment/and should be sent to Mrs. Rita Croom, University of Mobile, 5735 College Parkway, Mobile, AL 36613-2842. Electronic submissions are preferred and may be sent to rcroom@umobile.edu. Job Description: The Tier 1 Helpdesk Analyst is the first point of contact for end-user support. The Analyst will provide excellent customer service and technical support by configuring, customizing, and testing hardware/software systems including Active Directory, User and Computer/Group Policy configuration, and Office 365 support. Christian who is an active member of local church. Install and configure computer operating systems and applications. Troubleshoots network connectivity and desktop performance issues. Support Mac and PC hardware, printers, scanners, VOIP phone systems, and computer peripherals. Active Directory, file and printer server maintenance. Electronic submissions are preferred and may be sent to lwinbush@umobile.edu. In accordance with Employment At-Will policy of the University as noted in the Employee Handbook, this job description is not construed as a contract of employment or any part of any contract of employment or as a guarantee that employment or any benefit will be continued for any period of time. Answer phone and take messages. Keep copiers replenished with paper. Pick up mail from mailroom and deliver to Arts & Sciences. Help with entering data in the schedules for fall, spring, and summer. Assist the faculty when needed. Work-study needs to be proficient in Excel. Good communication skills a must. Job Description: Helping with computer work, filing, answering phones, etc. Work studies for the Office for Advancement will assist in various fundraisers, special events, and donor relations. The position will include general office responsibilities to support the functions of the office as well as other task as assigned. University of Mobile is a private Christian University of liberal arts and sciences, and is affiliated with the Southern Baptist Convention.  Consideration for employment at the University of Mobile will be based on the applicant’s Christian commitment, qualifications, education and experience. University of Mobile is a Christ-centered academic community providing liberal arts and professional programs to renew minds through intellectual and spiritual development for the fulfilling of one’s professional calling. The University is affiliated with the Alabama Baptist State Convention and is committed to excellence in academics through offerings at the undergraduate, graduate, and continuing education levels. University of Mobile is accredited by the Southern Association of Colleges and Schools Commission on Colleges to award associate, baccalaureate, and master’s degrees.